Last week I’ve told you about our Narnia weekend plans. Now this year we’re absolutely lucky and get st stay for a few more days. as Stefan is between projects and they haven’t set up the workplaces at the new project yet he was asked to take some days off of work. So we will stay not only over the weekend but until next Wednesday 🙂 I love it!!!! His grandma has a really big house where we all stay and a lovely spacious garden. So in the morning we’ll go to a little coffee shop for breakfast in the town center and we’ll spend the afternoon in the garden. Hopefully the weather won’t ruin my plans! And I get to spend some more time with the kids 😀 I am excited! I am a usually not someone to buy something expensive without weighing my options. But I hate my smart phone. It has a memory card that’s too small ( I know I could just get a bigger one) and a crap camera what I can not ignore. I take most of my pictures with my mobile and therefore need a good camera. My pictures are always blurry and I am fed up with that. So I made a snap decision and jumped to the opportunity to order a new one. My sister has the same and the camera is amazing. It will arrive maybe today 🙂 Vacation pictures, here I come! Now I am getting dressed and then I go to Crossfit. I’ll see a friend for lunch, get a manicure and in the evening I’ll meet another friend for dinner at the place with the bread basket! YAY! Do the zip line! I haven’t even though it was included in a ticket when we went to a mountain outside of Vancouver. I dint want to do it on my own (might have been a bit scary pants) but hubby would have died of a heart attack. Now thinking back it must be amazing seeing nature from a total different perspective. Looking forward reading about your experience. OMG. Promise me you’ll recap Narnia!!!!!!!!!! Maybe I manage to make a video zip-lining. That must be fun! Which smartphone did you get? The lack of memory card space was a major let-down about my last one, too, so I was secretly glad I had to get a new one. Not so much about spending the money but I figure it’s a long[er] time investment. I’m the least person to ask for new book recommendations because I’m actually waiting to find a good one through others’, too. Unless you were looking for non-fiction as that’s what I’ve been mostly reading lately. I bought the Samsung S4. And so far I am amazed! Brilliant camera and a giant memory. I also read non-fiction. Pretty much anything that’s interesting. We’re phone twins now! I bought the S4 Mini a few weeks ago when my old phone decided to stop working. Thanks for the heads-up about the colour. I’ve really been feeling like going for a new one lately. 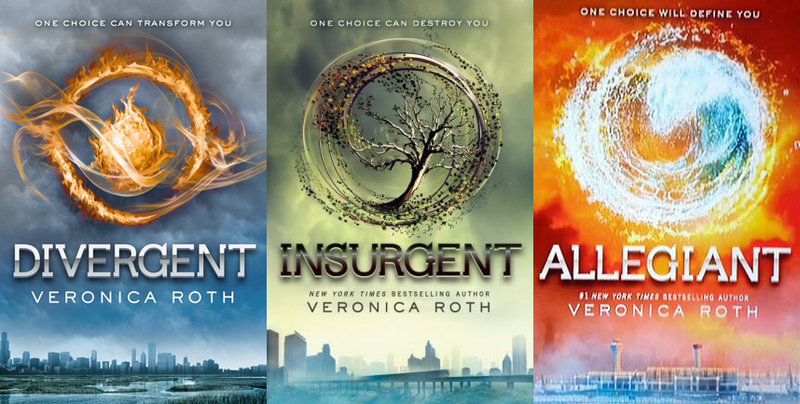 Divergent was such an awesome series — I ended up reading it twice because I liked it so much. If you like that kind of dystopian feel, then I definitely recommend looking into the Delirium series by Lauren Oliver. And if you like adventure/fantasy books, then The Throne of Glass by Sarah J. Maas is really good too! I went zip lining on a smaller scaled one and it was a blast, but I have always wanted to do those zip lines through the woods! Although not to brag I have zip lined into a pond haha, it is a blast! I was addicted! Have fun! It sounds like you are truly enjoying your vacation. I would love a day where I could just read books the whole day through. That sounds heavenly. Can’t wait to see the pictures of Narnia through the new phone. Oh and I’ve never been zip lining, but I’ve always wanted to. It looks like so much fun. Maybe you can schedule this.It’s a bit less funny when you treat it like an appointment but I sometimes need t do that. Make an appointment with a book, put it down into your calendar and then just do it!